A discussion that’s cropped up several times in the years that I’ve run my own proofreading business is the disaster that can strike when you lose a client, especially if they are your only client. they merge with other organizations and streamline their production processes. In view of this it’s essential to protect your future interests by building a portfolio of several clients rather than focusing all your energies on one or two. If you put all your eggs in one basket and one of the above scenarios occurs, the impact on your business could be devastating. This happened to one of my colleagues a while back – an experienced, highly qualified editor who’d relied on regular work from one organization for over nine years. The recession hit her client hard and the press brought all its freelancing work in-house. A decade’s worth of stable workflow disappeared overnight and my colleague was left picking up the pieces. One of my primary contacts at a publisher went on maternity leave last year. I absolutely noticed her absence. Fortunately I had plenty of other clients in my portfolio to ensure this didn't affect my workflow. It was great when my contact returned to work recently and offered me three novels in one hit, but I'm glad my business isn't dependent on her. When I started freelancing I was headhunted by a publisher, so I had work before I understood what a [freelance] proofreader or copy-editor was. For two years I simply did this large project and never really thought of the future. Then a fellow SfEP member said, “Never trust a client to be there for ever … always have more than one egg in your basket.” This really made me think; even though that client gave me constant work, I began to look for new clients before I needed them. Since, I have always followed the premise that a freelance business should assume they will lose one good customer a year for reasons beyond their control. I have had three clients for 20 years, but one has subsumed what had been four other clients and is now increasingly moving work to India. Jane makes a crucial point, and the science publishing market is just one example of how mergers can have a huge impact on editorial freelancers if they don’t keep an eye on what’s happening in the market place. Once one is in the position of losing the client, then I recommend sending letters to lots of similar clients, detailing your work experience and making it clear that the reason you have room in your diary for additional work is because client A is no longer using freelancers or because they have merged with another company. This is a sensible strategy because it demonstrates to the new prospect that you are reacting to changes in the market rather than suffering fall-out due to poor performance. If you are approaching similar-type clients, they’ll be just as aware of the corporate changes going on around them. They’ll no doubt appreciate the experience you’ve gained from working for a competitor, so this is a way of selling your loss in a way that demonstrates your skills and freelance employability. I acquired my new clients by writing a letter saying, “I happen to be in X for two weeks next month and would love to pop in and see you at your convenience. I realise that you will be busy but if you could spare ten minutes to see me I would appreciate it.” To those who said yes, I then travelled to where ever it was! Out of ten letters I wrote, two did not reply; two said they did not need any one; two said they would send me a test when they next trawled for freelancers; and four invited me to visit. Of those, three offered me work after the visit and one has given me constant work, filling 50% of my diary for 20 years. Even during the good times, it’s worthwhile ensuring your profile is always high in the places where your client type finds editorial freelancers. If you’re targeting the publishing market, a key society directory and cold-calling may be appropriate. If you’re working in the business market, regular attendance at local workshops and business networks may be crucial, as will be a website. Whatever your core marketing tool, don’t let it slip. It’s better to turn down work, knowing that a potential client has your details on file, rather than having to start over. ​Don’t put all your eggs in one basket. We’re in a recession – whatever type of client you focus on, there’s still a risk that even if you’ve been a trusted provider for many years the work could dry up. Don’t make assumptions about stability even during the good times; publishing is a dynamic sector, and mergers and acquisitions are common. Keep an eye on the market, even during economic booms, and react quickly by trying to replace what you’ve lost; clearly articulate your experience and make sure new prospects understand that your availability is for reasons beyond your control. ​Finally, ensure you’re taking advantage of the myriad marketing opportunities appropriate to your sector even when your client base is stable. That way you’re proofing yourself for the future. Very good advice. I've followed it over the past few months and have expanded the number of my regular clients significantly. I now feel a little less vunerable to the vagaries of the marketplace! Great stuff, Richard! It also ensures there's a little more variety to the work we do, which isn't perhaps as important as having work in the first place, but it all helps to increase one's experience of working with different clients and their various ways of working. Good stuff, Louise. The flip side of this is that diversity doesn't just protect you from a beyond-your-control lost client -- it's an insurance policy that gives you the freedom to *fire* a client who's not working out, and move on to better prospects. Cheers, Jake. That's an excellent point -- really important -- and one I hadn't even considered. Thanks so much! Great advice, Louise. I followed the same advice when I started freelancing, and I'm glad you put it in writing. I also like the specific advice and examples you provided from others. Well done! Thanks, Cassie! I'm very grateful to Jane for her insights. Glad you enjoyed the article. This is excellent advice. It also helps with cashflow too, as if one client has a glitch with their payment system, hopefully you'll get paid something by the other client. I started working freelance eighteen months ago after being in-house for nearly 12 years. My first target was to expand the client base so I had more security. I now have three main clients and two others I do occasional work for. 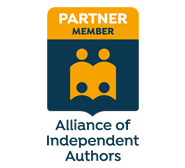 Another benefit is that you see how different publishers work and get a good overview of new technology and changing practices across the industry. I found myself in this position at the start of the year. My main client, which has accounted for 90% of the work I’ve done over the past ten years, decided to switch to an alternative supplier – no warning and no notice period. The only saving grace is that I’ve been learning web design on the side for the past four years. I’ve managed to attract a few small businesses, mainly designers and writers, willing to pay for that service. I still have some way to go to replace the business I’ve lost. Thanks for sharing your experience, Jeff. What a shock that must have been for you. It's good that you've added new strings to your bow with which to expand your business during this rough period. I wish you all the best in your search for new clients. With a decade's worth of experience I'm confident that you can replace your lost business. Again, good luck to you.